Cathie-Rosalie is a partner in the tech and comms, and banking and finance groups of the Paris office of Bird & Bird. She is registered with the Paris, Brussels (List E) and Luxembourg (List IV) bars. She has developed a solid experience in regulatory and prudential matters in the financial sector (licensing or exemption procedures, freedom to provide services or freedom of establishment regime, compliance, anti-money laundering, payment services and electronic money, bitcoin, etc.). Cathie-Rosalie also has expertise in other regulated areas such as online gambling and entertainment. 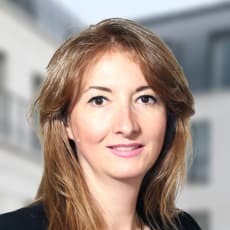 In addition to regulatory and licensing advice in France, Belgium and Luxembourg, she has also assisted some clients during controls and prosecution launched by the gambling regulatory authority. With a leading position in supporting projects linked to new technologies, Cathie-Rosalie draws from more than 10 years’ experience, representing players operating in gambling and gaming, fintech and regtech. She also assists clients with the implementation of dematerialisation projects, electronic and biometric signatures, cybersecurity, data protection, cloud computing, blockchain and artificial intelligence.